Dictation has proven time and again its significant value. Digital Ip of San Antonio, Texas provides the latest in voice dictation/transcription hardware and software technology along with speech recognition software when required. When you need to be, mobile, hands free, dictate over a phone line and transcribe from anywhere in the world we have the right options for you. And, if you want to reduce your document transcription cost whether you are a one or multi person legal office/law firm, a one site/multi-location healthcare provider, law enforcement organization or insurance company we can help control cost, provide an ROI for your investment while helping you get more done with less effort and less cost. And, if you want to continue to dictate and have your transcriptionist do all the typing we can certainly help you there as well. 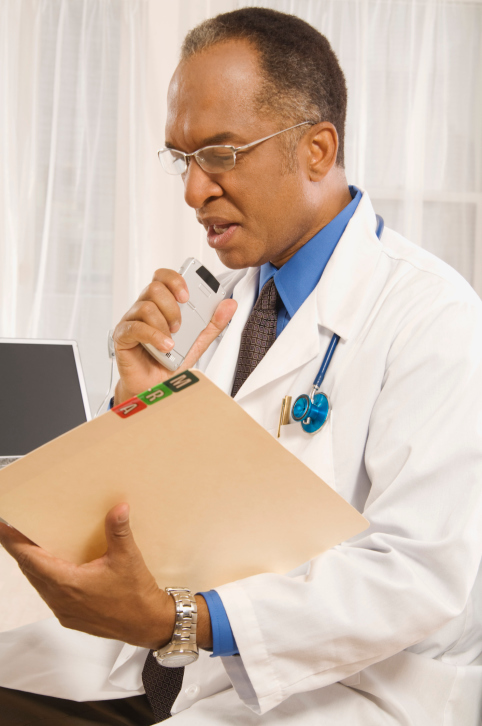 Designed to make dictation and transcription easier, we offer a variety of professional handheld (link), microphone (link), telephone and hands free dictation systems (link). Whether you prefer to use an iPhone™ application (link), digital portable (link), telephone (link), microphone (link) or a hands free foot control/microphone (link) you can choose the option that suits you best. The best part is all the dictation is easily transferable to your transcriptionist (automatically/manually) allowing your assistant or secretary to transcribe the content immediately. Using the latest in web, ip, LAN, WAN, and Citrix technologies for greater workflow. Includes file encryption and back-up of your dictated work. We can also supply you with the latest in Hosted dictation/transcription solutions. You pay a small upfront fee per user for the annual contract renewable at a lower annual rate and not volume or quantity sensitive. We install and train for the most effective use and charge a small implementaion fee. Our annual renewal then runs less with each successive term. Advancements in software and technology are simply amazing. We offer the latest in speech recognition technology, allowing you to simply talk into the computer, tablet, handheld digital portable or telephone. The words come right up on the screen and can be saved or edited as needed. It is the perfect tool for any office, as it can be used and licensed with as many people as needed. You can learn more about the speech software and the company behind it by reading the most recent press release. Why has (almost) everyone gone digital with Digital IP Services? Less fuss – easy to use and difficult to misuse designed for professionals. Transcribe from any internet location. Tracking of dictation and transcription. Dictate from anywhere and immediately get your work back to the office. Little to no battery hastle. No keeping up with tapes – eliminating 75% of mechanical failures. Document creation and management software. Integration with virtually all HIS vendors. Quick, simple, and without any obligation.